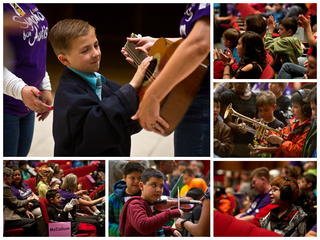 Do you remember how special attending your first symphonic concert was? The crash of the cymbals? The honk of the trombone? Or the fanfare from the trumpets? For more information on this story, contact Phil Casaus at the APS Education Foundation, 505.881.0841.